CONFIRMED: It’s an Electric Universe! It is essential in these exuberant times to pay critical attention to both the observational constraints and to the basic mathematical laws, with a clear sense of what is solid theory and what is only unsupported speculation. This seeming platitude is offered here without jest, because at the present time there are ‘theories’ – scenarios sometimes quite detailed – seriously and often passionately held, for almost every exotic astronomical object that is not resolved in the telescope. In contrast, the one star that can be properly resolved – the pedestrian Sun – exhibits a variety of phenomena that defy contemporary theoretical understanding. A ‘tipping point’ in science is supposed to happen when the weight of evidence against a theory tips the balance of opinion against it. But we are dazzled in this space age by computer-generated ‘virtual reality’ and the sheer technological brilliance of applied science. So it can come as a surprise to be told that modern theoretical science is in crisis. Today’s inverted science pyramid rests on the mathematics of imaginary particles and energy described by an acausal quantum theory that no one can explain. Occasionally, the more candid scientists admit they don’t understand basic phenomena like mass, gravity, magnetism, lightning, galaxies and even the Sun! So it is not surprising that planets, stars and galaxies are being discovered that ‘shouldn’t exist’ and most of the visible universe seems to be a mere impurity overwhelmed by mysterious ‘dark matter’ and ‘dark energy.’ In its role as a consensual belief system today’s ‘settled science’ is now confronted with surprising contradictions more frequently than they can be fitted to the dogmas. And because the fundamental mysteries persist unrecognized, Nobel Prizes are awarded for purely imaginary discoveries in physics. The weird nature of those discoveries should serve to warn us that science is at a tipping point of unparalleled magnitude. Science is at a tipping point because, having fragmented into specialties and sub-specialties, it is no longer equipped to deal with falsifying data. The barricades of technical jargon and self-serving politics prevent the specialists from seeing what would be all too obvious from a higher vantage point. Such a system is averse to outside challenges by ‘those who transcend the conventional,’ and leading authorities feel free to ignore them. Of course, before the modern barriers went up, crucial scientific contributions were accepted from many ‘outsiders’ like William Herschel and Michael Faraday, those who “may be free of current dogmas and prejudices, able to see the world with fresh eyes.” [Albert Einstein] Few universities have shown the courage to insist on a broad and balanced picture of present knowledge or an even-handed comparison of theoretical assumptions and available alternatives. To apply such basic standards today would risk discrediting entire departments. Researchers today have computers to simulate almost anything they can imagine. The combination of computing power and imagination produces the ultimate computer games, a virtual world where unbridled fantasy can flourish. “You can sell anything if you dress it up correctly… You can give a result which is complete ‘garbage’ but taken out of context, reviewers can’t tell the difference,” says one astrophysicist. Harsh words? Not if you read the numerous papers where simulations are said to ‘prove’ a theory. Each ‘surprising’ discovery results in ad hoc computer models built from ‘off-the-shelf’ ideas and software that are forced to approximate what it is imagined has been discovered. Attractive computer-generated ‘artists’ impressions’ help with funding. The design of research labs revolves around simulation and visualization technology, the Large Hadron Collider (LHC) for example. So science libraries are now filled with an excess of unreadable and unread technical literature, while the distinction between nature itself and the ‘virtual worlds’ of the popular media grows increasingly blurred. In this deadly loop the virtual world gets the publicity and funding. And all the while the inspiration that attracts young minds to true discovery progressively declines. Consensus science and the desperate need to publish papers in a few ‘recognized’ journals drives peer-review censorship, selective data publication, confirmatory bias, and in some cases fraud. Requests for research funding should be subject to public cross-examination. If the research cannot be explained and justified to well-educated arbitrators, drawing upon qualified criticism, what is the basis for confidence in today’s multi-billion dollar scientific adventures? “Trust us, we’re the experts,” is not acceptable. Blind trust has led to misbegotten multi-billion dollar projects like the $9 billion Large Hadron Collider and the $16 billion, 30 year long International Thermonuclear Experimental Reactor (ITER), which when viewed critically, fall far short of the scientific justification the public has every right to expect. Today’s cosmology, in attempting to give us the biggest picture, competes with religion by investing in an alternative creation myth, one that shatters the observed laws of physics. The myth is called ‘the big bang’ and it makes no sense. What we observe is that matter ‘locks up’ electromagnetic energy, which manifests as mass according to E = mc2 (no hypothetical Higgs boson is required). But we have no idea how energy can create matter (whatever that ultimately is). So we can say nothing about creation of the universe. Though it purports to explain observed phenomena, the big bang requires one to rationalize an immense field of accumulating anomalies, forcing cosmologists to devote most of their time to inventing ways around the contradictions by introducing purely theoretical constructs like dark matter, dark energy, black holes and much more. The exotic vocabulary that has emerged fails every reasonable test of Occam’s Razor. Unexpected results are met with ad hoc solutions. There is always an answer. The big bang myth, with its bizarre portrayal of our situation in the universe, afflicts society through its hopelessness and waste of money and resources. Modern cosmology is exposed as a competing secular religion with its creationism and end of the world scenarios. Science has not yet thrown off the shackles of our misunderstood past. One measure of a successful cosmology is its ability to predict probable new discoveries and avenues for research in other disciplines. Big Bang cosmology fails this test. Today, incessant surprise at discordant astronomical data never causes a radical rethink of basic assumptions. “Back to the drawing board” never means starting afresh. The mysteries mentioned earlier are untouched. No one reads the original papers from which dogma sprang. Surprises merely drive the science-media-funding circus to further improvised absurdities — ‘proven’ by computer models. But computer models cannot prove anything. Most are based on invalid concepts, such as treating space plasma as a magnetized gas, and have so many adjustable parameters that the models are not falsifiable. Physicists are trained to work in an intellectual vacuum. The result is a lack of real progress that is disguised by increasingly bizarre scientific headlines and promises of future success, which never arrive. Consider the decades-old pledge of limitless clean thermonuclear energy, ‘like the Sun.’ Failure to deliver has never caused any second thoughts about the Sun. But that may be a clue. 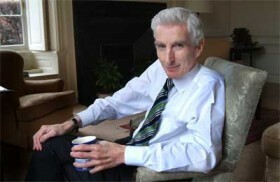 Martin Rees, one of the world’s most eminent astronomers, is a professor of cosmology and astrophysics at the University of Cambridge and the UK’s Astronomer Royal. In his book, New Perspectives in Astrophysical Cosmology [C.U.P. 2000] he writes,“The best understood cosmic structures are the smaller ones: the individual stars.” Nothing could be further from the truth! Not one of our own star’s features — the corona — the chromosphere — the granular photosphere — sunspots — is to be expected based on the standard thermonuclear fusion model. As new data floods in from solar probes and those focused on the Sun’s boundary with interstellar space it becomes blindingly obvious — we don’t understand the Sun. And without understanding the Sun we know nothing about the universe! The Sun is the tipping point, the point of departure from old big bang cosmology. Rees writes in the introduction to his book, “Gravity, almost undetectable between laboratory-scale bodies, is the dominant force in astronomy and cosmology. The basic structures in our cosmic environment – stars, galaxies, and clusters of galaxies – all involve a balance between gravitational attraction and the disruptive effect of pressure or kinetic energy.” Three things stand out immediately. First, gravity is the weakest force in the universe. Second, gravity is not understood. And third, although magnetic fields are detected on the Sun and everywhere in space, there is no mention of the necessary generative electric currents in plasma, which constitutes 99.999 per cent of the visible universe! This is a doctrinaire failure to notice the obvious. Astrophysicists have equations describing what gravity does and a meaningless hyper-geometric story about space being warped by the presence of matter. There is no thought given to the most basic problem — how matter produces the effects of mass and gravity. Nowhere in cosmology is the electrical structure of matter and the electric force, which is 39 orders of magnitude stronger than gravity, considered important. 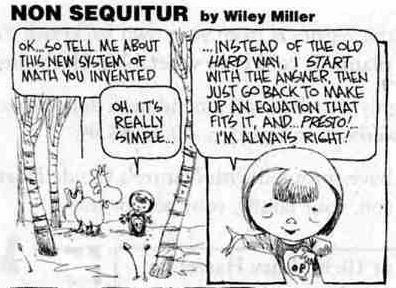 So long as we cling to mistaken and out-dated concepts we will never understand the Sun or any other star. There is a new cosmology poised for recognition. The Electric Universe is inspiring people of all ages. It is easy to understand. It is an expansive and inclusive science that motivates ‘garage tinkerers’ to perform their own experiments. It merges science and the humanities at a deep level. Those who know it say, “It just makes sense.” For the first time we begin to understand our existence on this fragile blue planet and our connection to the Sun and the amazing universe. Even at this early stage in its development, the Electric Universe has been successfully predicting and explaining surprising discoveries. It is unique in the space age in that it grew from forensic investigation of the earliest astronomical references. It did not assume that the sky has always appeared like today or that the orbits of the planets can be simply retro-calculated into prehistory. The research culminated in the identification of weird prehistoric petroglyphs as faithful recordings of mighty electrical discharges in prehistoric skies. When combined with modern plasma science and recent discoveries from space probes it was evident that electricity plays a key role in celestial dynamics. This raised the issue of the electrical nature of the central body in the solar system — the Sun. There is practically no scientific or cultural activity that is untouched by the Electric Universe, which is the hallmark of a real cosmology. The Electric Universe is based on real-world experiment and observation and not on oxymoronic ‘thought experiments’ or unfettered speculation about what might be going on unseen inside a star or in deep space. It shows more clearly what remains to be discovered and the preferred directions for future study and exploration. This interdisciplinary investigation climaxed in 2000 at a meeting in Portland, Oregon when the electrical nature of the solar system was confirmed. Such evidence had been accumulating since comet nuclei came under close scrutiny by spacecraft. But at the meeting, a leading authority in plasma science established that unusual powerful electrical activity had once involved the entire Earth. He recognized enigmatic prehistoric petroglyphs as representing evolving plasma instabilities he had seen in images from the most powerful lab-generated electrical discharges. The scientific papers announcing the discovery termed the phenomenon a ‘super-aurora,’ implying the Sun was responsible, and dated sometime about the end of the last ice age. All the evidence supported an earlier analysis that we are the descendants of deeply traumatised survivors of prehistoric celestial ‘doomsday’ experiences. Those cataclysms seemed to trigger the mysterious sudden rise of the first civilizations. The events were memorialized in the early religions and prodigious architecture and monuments; and they were re-enacted in destructive wars. The mysterious stories of planetary gods battling in the heavens with thunderbolts is dismissed today without a second thought because it doesn’t fit the comforting myth of an electrically sterile, Newtonian clockwork planetary system wound up billions of years ago. Yet in the 21st century we still instinctively inflict war and senseless destruction while invoking those forgotten planetary gods. Perhaps the most important lesson from the Electric Universe is societal. 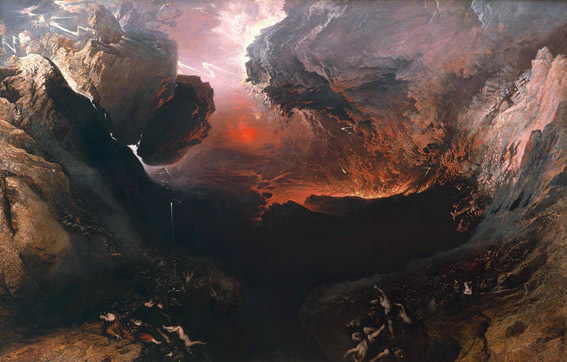 Healing the compulsion to revisit doomsday-inspired insanity requires that we face the reality of our chaotic past on this planet. The implications for science, the humanities, and our future survival are profound. “In seeking a source of energy other than contraction the first question is whether the energy to be radiated in future is now hidden in the star or whether it is being picked up continuously from outside. Suggestions have been made that the impact of meteoric matter provides the heat, or that there is some subtle radiation traversing space which the star picks up. Strong objection may be urged against these hypotheses individually; but it is unnecessary to consider them in detail because they have arisen through a misunderstanding of the nature of the problem. No source of energy is of any avail unless it liberates energy in the deep interior of the star. 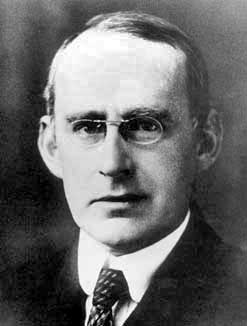 Having dismissed external inputs, Eddington simplified the problem by defining the Sun as an isolated ‘ideal gas sphere’ subject to self-gravitation and a central heat source to ‘blow it up’ to the size we see. His model was limited because he had no practical experience of electric discharge phenomena in a near vacuum, otherwise he might have seen the photosphere as an atmosphericelectric discharge phenomenon and not the surface of the Sun. This highlights a fundamental problem with modern computer modelling. How well do we understand what we are looking at? Our interpretation is limited by our experience and imagination. No one has any experience of the interior of a star so the complex Standard Solar Model is purely imaginary. Never mind that it’s not understood how to collapse a molecular cloud to form a star and no known physical body transfers internal heat through a ‘radiation zone.’ Nevertheless, the complexities involved in trying to get the Standard Solar Model to mimic what we observe have kept theorists busy for a century — without success! Surely it’s overdue for a total rethink? It seems not to have occurred to anyone since Eddington, with the notable exception of an engineer, the late Ralph Juergens of Flagstaff, Arizona, that sunshine may be produced by “some subtle radiation traversing space which the star picks up.” Juergens was involved in the interdisciplinary research mentioned earlier and he saw the need to investigate the electrical nature of the Sun and solar system. He published a seminal paper in 1979, The Photosphere: Is it the Top or the Bottom of the Phenomenon we call the Sun? He emphasised the fact that none of the observed features of the Sun such as the corona, chromosphere, spicules, granulation, sunspots etc., had any business being there in the Standard Solar Model. For example,“..the established theory of stellar energy is embarrassed by the mild behavior of the Sun’s photospheric granules.” The photospheric granules are supposed conventionally to be the tops of vigorous convection cells driven by the Sun’s central nuclear furnace. Internal convection is essential to the Standard Solar Model because convection is supposed to ‘somehow’ generate the Sun’s complex magnetic fields. This discovery alone should be a ‘tipping point’ for the Standard Solar Model. But foundational beliefs die hard. Earlier there was ‘the solar neutrino problem,’ which for many decades directly discounted the thermonuclear model of the Sun when the neutrino fluxes were found to be 3 or more times less than expected. That problem has been swept under the carpet by assuming that neutrinos change on their way from the Sun’s core to the detectors on Earth. Conveniently for theorists, there is no way of verifying this for the foreseeable future. Meanwhile it has been found that the neutrino count varies inversely with sunspot number, which is a photospheric effect that cannot be influenced by anything going on in the Sun’s core. All of the action seems to be happening in the photosphere itself, which emphasizes Juergens’ unusual question. 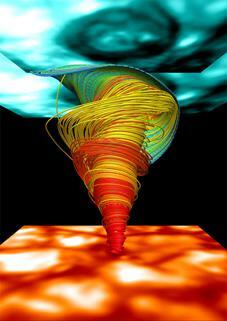 The article highlights the discovery of ‘super-tornadoes’ in the chromosphere, between the corona and the photosphere. It is estimated there are more than 10,000 of them continuously present in the quiet Sun. The researchers have leapt to a possible heating mechanism for the corona via these super-tornadoes, which are connected magnetically to vortexes in the photosphere. However, it is not clear how the tornadoes are formed or how energy is transferred from the super-tornadoes to the corona. Predictably, all of this energy is supposed to be driven by convective motion and trapped magnetic fields beneath the photosphere. But we have just seen there is insufficient photospheric convection to produce the Sun’s magnetic fields. These recent discoveries support Juergens’ external electrical powering of the Sun. Together with findings about the Sun’s interface with the galaxy at the heliopause that deny all previous theoretical models, they put an emphatic end to standard solar theory. The photosphere is the bottom of the phenomenon we call the Sun. The Sun may now be easily understood and the electrical model confirmed empirically since what we can see is all we need to know. The Thunderbolts Project is dedicated to this task. Glossy media presentations show the Sun and planets forming from a rotating dusty cloud. So it will surprise most people that experts consider star formation an “open question,” and as “the most important challenge in astronomy over the next decade.” [R. de Grijs (2012)] The challenge becomes more difficult as telescopes improve. I predict that it will become impossible when new instruments like the James Webb Telescope and the Square Kilometer Array become operational. Unexplained magnetic fields are involved. “Something creates and maintains micro-Gauss coherent magnetic fields on an enormous scale.” [B. Gaensler (2008)] So common sense suggests we should turn to plasma cosmology, which explains star formation simply in electromagnetic terms. Electrical Planet OriginsStars form in molecular clouds by a process of Marklund convection toward current filaments that look just like a cosmic form of cloud-to-cloud lightning. This discovery was a surprise to theorists who rely on spherical 1/r2 gravitational accretion of matter toward a center of mass. In sharp contrast, Marklund convection concentrates matter along a current filament with a long-range and more powerful 1/r electromagnetic force. Significantly, Marklund convection separates the chemical elements with the coolest and most easily ionized elements, such as iron and silicon, nearest the axis. With sufficient matter along the filament, gravity assists in forming separate stars and smaller bodies rather like glowing beads along a lightning channel with cool cores of heavy elements and atmospheres of hydrogen and helium. Note that a thermonuclear reaction cannot ignite in a cool heavy element stellar core! If the heavy elements are concentrated in stellar cores, how do we account for planet formation with heavy element cores? With over 800 ‘exoplanets’ discovered the standard accretion model is in increasing difficulties. The first problem was finding ‘hot Jupiters’ orbiting stars closely. The accretion model says that it’s impossible for them to form there. So the gas giants must have somehow ‘migrated’ inwards from a more distant orbit. But the accretion model requires our gas giants tomigrate before they formed so that the inner planets have the time necessary to achieve their elemental composition! Also, the birth of plentiful brown dwarf stars and smaller bodies in proximity along an electrical umbilical cord provides the opportunity for capture by bright stars to form planetary systems. Capture is greatly enhanced by electrical energy exchange where the cross-section for capture is that of a star’s huge electrical boundary, called the heliosphere (~200 AU wide), or ‘astrosphere.’ Brown dwarfs captured by a bright star will have their power source stolen, lose their radiance and become gas giants. This explains a mystery known as the ‘brown dwarf desert,’ around main sequence stars. The capture process of a brown dwarf involves drastic electrical readjustment from being an anode to a cathode, which the captured star achieves by a cometary-type electrical expulsion of matter from its heavy-element core and atmosphere, forming satellites and rings. Some of the expelled debris escapes to become families of comets, asteroids and meteoroids. It is a process entirely analogous to the observed electrical splitting of comet nuclei, often as they too approach the Sun. The applicability of this model to the solar system is obvious with the distant gas giants sporting rings and many satellites. Saturn, with its spectacular ring system, appears to be the most recently captured. The inner planets are satellites lost to the gas giants/former dwarf stars. Astronomers have recently begun to suggest that the environment close to a dwarf star is conducive to life. But there is far more to this idea in an Electric Universe. So the Sun’s weird assortment of planets and their satellites are an adopted family and not primordial. Comparing gyroscopically stable axial tilts may show some familial associations. Significantly, Saturn, Mars and Earth seem related via this hypothesis. Gravitational systems are essentially chaotic because orbital perturbations are not corrected. With intruders upsetting the solar system the obvious question is how come the planets move like clockwork? It is important that an effective ‘damping’ mechanism operates to enforce order in the solar system. The Electric Universe simply proposes that protons, neutrons and electrons, like the atoms they form, have orbital structures too and can be distorted in an electric field to form tiny electric dipoles. Gravity can then be understood, like a form of molecular bonding, as the force between induced weak electric dipoles in all subatomic particles in a body. This gives the crucial ability to modify a planet’s gravity and orbit by altering the charge on its surface. Such a gravity model mitigates against collisions by spacing orbits so that planets exchange electric charge the least via their cometary plasma sheaths. The Electric Universe model of a star proceeds where plasma cosmologists left off. It seems that stars continue to receive electrical energy from the galactic current filament in which they formed. This has been recently established by the ‘surprising’ influx of energetic neutral atoms (ENAs) from a ring about the solar system, aligned across the interstellar magnetic field. The ring with its ‘bright spots’ indicates the presence of an electromagnetic ‘pinch’ in the co-axial interstellar current cylinders that power the Sun. 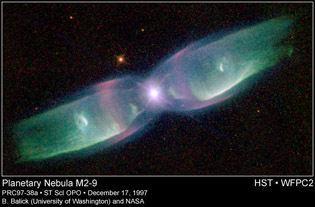 This ‘planetary nebula’ shows a typical star’s co-axial circuit in a more active ‘glow mode.’ The electromagnetic plasma ‘pinch’ centered on the star is clearly evident. Juergens identified the many observed discharge phenomena on the Sun as characteristic of those above a positive anode. The interplanetary plasma potential ‘locks’ to that of the anode — the Sun. So the electric driving potential of the Sun is confined largely to the distant heliosphere boundary — in the region being encountered by the two Voyager spacecraft, where the solar wind has ‘mysteriously’ come to a halt. It is not a mystery when the electrical model is applied to the Sun. The heliospheric plasma sheath is the ‘virtual cathode’ in the Sun’s circuit. The electric field first reverses on approaching the cathode, causing the protons to decelerate with no evidence of a galactic ‘head wind.’ Beyond that region the protons will accelerate rapidly away to become cosmic rays. The electrons coming from that vast ‘virtual cathode’ sphere are focused down a trillion times by the time they reach the photosphere and produce the radiance of the Sun. The evidence to look for is filamentary currents following the ambient magnetic field direction down to the photosphere. Such filaments are seen at all scales in the Sun’s corona, chromosphere and photosphere. The Sun’s corona is simply a coronal discharge effect where diffuse plasma is apparently heated to millions of degrees by the electric current flowing through it. Referring back to Swirls in the corona, energy is not transferred from the Sun up to the corona via magnetic “super tornadoes” but in the opposite direction, down toward the Sun by electromagnetic tornadoes. The “super tornadoes” are typical of plasma self-organization at high current densities, in which the current filaments take a helical path, or ‘tornado.’ This phenomenon is important when we look in detail at the photosphere. …the idea of thermal convection as the explanation for granulation in the photosphere – a concept that at first seemed handsomely supported by a resemblance between granules and blocky cells in molten wax – fares rather badly when subjected to scrutiny. Nevertheless, so compelling is the conviction that the Sun generates its own energy that such practical difficulties are generally disregarded. The consensus has it that convection there must be, and therefore photospheric granulation must somehow be a manifestation of the process. 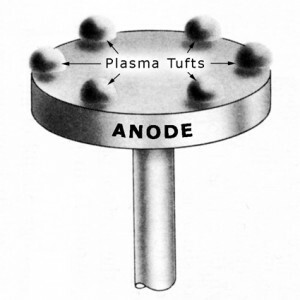 Irving Langmuir explained anode tufts as a region of increased ionization of the plasma in response to excessive current to the anode. It seems the granulations of the photosphere are the tops of millions of closely packed anode tufts separated by their plasma sheaths from the primary plasma of the Sun’s ionosphere, which forms the dark lanes between the granulations.The body of the Sun is much smaller than that occupied by the photosphere. So the Sun’s almost perfect spherical shape can perhaps be attributed to electromagnetic forces combined with the need to achieve the highest packing density of the anode tufts at the top of the Sun’s ionosphere. The resultant spherical symmetry of the discharge following magnetic field lines in ‘force free’ mode down to the photosphere results in the Sun’s dipole magnetic field not having the predicted bar-magnet shape, or crowding of field lines near the poles. This answers the surprising fact that the Sun’s magnetic field lines spread out uniformly from the photosphere. Juergens refers to the curve of the electrical potential distribution across an anode tuft. Electrical engineer Dr. Donald Scott recognized the curve as characteristic of the voltage curve across a transistor. This insight offers a simple explanation for another mystery of the Sun — how does the heat and light of the Sun remain steady to within 0.1 percent (the ‘solar constant’) while its output in X-rays varies markedly with the solar activity cycle? The answer is ‘electronically!’ The X-rays come from the corona and solar flares, which respond directly to the varying galactic power input. However, a small shift in voltage of the tuft plasma relative to the body of the Sun is sufficient to regulate the current through the tuft, and hence the heat and light from the photosphere. Schematic of the photospheric tuft transistor analog. The cool body of the sun is at the origin. Courtesy of D. Scott. To have any confidence in our understanding of the Sun, and stars in general, we must first be able to explain simply the things we can see. Therefore it is crucially important to understand a sunspot because it is the only place on the Sun that gives a glimpse below the bright photosphere. Sunspots show a formation like the pupil and iris of an eye, the pupil being the dark umbra and the iris the filamentary penumbra. Closeup of section of a sunspot. Sunspots have been described as “a phenomenon lacking scientific explanation.” [E. N. Parker] The lack stems from narrow training that doesn’t recognize plasma discharge phenomena. Anyone who has seen the snaking filaments in a novelty plasma ball will have seen how electric currents in plasma naturally form filaments. 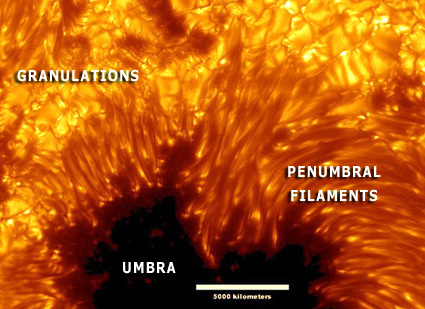 Filamentary structure is seen at all heights in sunspots. But astrophysicists talk instead of magnetic ‘flux tubes’ as if magnetism can be present without an electric current. Notably, sunspots of the same magnetic polarity do not repel each other. This requires that sunspots are bundles of parallel current filaments drawn together according to Ampère’s law and punching through the photosphere. Sunspots are the footprints of concentrated discharges from a plasma doughnut or ‘plasmoid’ electromagnetic energy storage ring encircling the Sun above its equator. The solar plasmoid has been imaged in UV by SOHO. Kristian Birkeland performed his Terrella experiment demonstrating the effect more than one hundred years ago. High-resolution images of sunspots allow us to see the structure of anode tufts below the photosphere. They show the photospheric granulations sit atop glowing penumbral filaments. The invisible twisting tornadic form of plasma discharge detected in the corona is visible in arc-mode on a finer scale in the penumbral filaments. It is typical for plasma phenomena to scale the same patterns over a vast magnitude range. A penumbral filament is a semi-transparent tornadic plasma discharge. Where the filament current density is high it brightens to form moving striations. The darker core is visible only at favorable angles of the filament axis to the observer. Time-lapse movies of penumbral filaments show steady downward movement of their bright point-like lower ends called ‘penumbral grains,’ which are generally brighter than the photosphere. Conventionally, the observed vertical velocities of matter do not suffice to transport the energy radiated away by penumbrae. So convection is not the answer. Can we find electric discharge activity in the Earth’s gravitationally stratified atmosphere for analogs to the activity seen in the penumbral filaments? 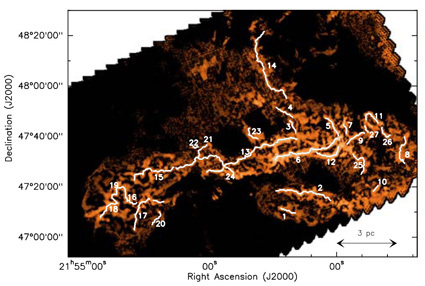 Earthly tornadoes suppress lightning activity over a wide area by providing an intense but slow helical discharge path to ground, which can account for their powerful effects and longevity. And like a tornado, the solar atmosphere is lofted up the penumbral filament to produce the enigmatic ‘Evershed flow’ out of the sunspot. By analogy, the bright penumbral grains may be lightning in the more dense atmosphere at the base of a glowing tornadic funnel. 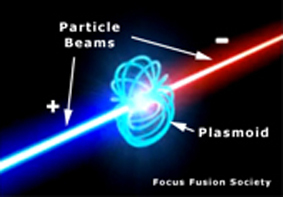 Or more likely, they may be a further stage of plasma instability called a dense plasma focus (DPF) where both matter and electromagnetic energy is intensely concentrated in a tiny ‘plasmoid.’ In the lab the DPF is the simplest and most promising fusion energy source. Experimentally, a DPF produces nuclear fusion and is a copious source of neutrons. Neutron capture in a dense plasma environment of protons and positive ions is necessary to ‘build’ the heavy elements from the lighter elements. So here we have a straightforward possible solution to the continuous production of heavy elements by all stars. The resultant complex nucleosynthesis in the photospheric granules can also be expected to produce a mix of different neutrino types. The observed neutrino modulation by sunspots is then easily explained because the sunspots clear areas of the photosphere of granulation. Common sense demands an alternative to the conventional story of heavy-element production only from rare dispersive supernova explosions, followed by somehow accreting the scattered matter to form the ‘next generation’ of stars containing more heavy elements. Clearly, the electrical model of the Sun does not require the unverifiable complexity of stellar thermonuclear cookery and stellar evolution through self-immolation. Viewing the Sun as a body with global electrical activity in its ionosphere provides a clue to another solar mystery. Sunspots have an intense magnetic field, which identifies the umbra as the imprint of a powerful field-aligned plasma discharge punching through the bright photosphere to lower levels. So the dark umbra is not uniformly dark. It is packed with a kind of granulation known as ‘umbral dots,’ which are finer and longer lived than photospheric granules and are hotter (~6200K) than the photosphere. These are characteristics we might expect from a lightning discharge at higher current and atmospheric densities than are present in the photosphere above. 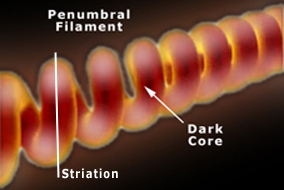 Significantly, penumbral filaments tend to split in a ‘Y’ shape at their bases and seem involved in the formation of umbral dots. At higher atmospheric density a plasma discharge tends to split into thinner filaments. It is a phenomenon observed stretching between the glows in the ionosphere to the lightning at ground level in major Earthly thunderstorms. Lightning also heats and accelerates gas upwards in the lightning channel from the higher-pressure region to the lower. That may account, in part, for the hot umbral dots against the dark background of the cool body of the Sun. The solar cycle is an enigma for the standard solar model. “The solar activity cycle has fascinated scientists and amateurs alike for over a century, but its mystery remains, and even deepens, as we collect new data that reveals its full complexity.” [D. M. Rabin et al., Solar Interior & Atmosphere] Attempts to model the solar cycle have relied on a hypothetical dynamo inside the Sun, in other words, the inductive action of fluid motions pervading the solar interior, to explain features that occur outside the Sun. But nothing remotely resembling consensus currently exists as to the mode of operation of the solar dynamo. And the coup de grace seems to have been delivered by the recently discovered lack of fluid motions beneath the photosphere. 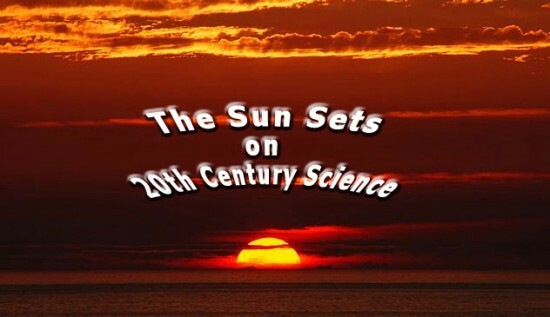 In the Electric Universe model, the solar sunspot cycle is simply the result of varying the direct current (DC) input to a plasma discharge focused on the Sun. For a continuous current to flow there must be a circuit. 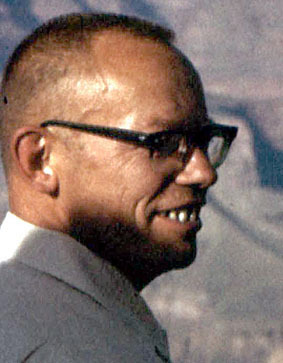 Hannes Alfvén provided the circuit but misidentified the Sun as a generator in a local closed circuit instead of a load in a galactic circuit. 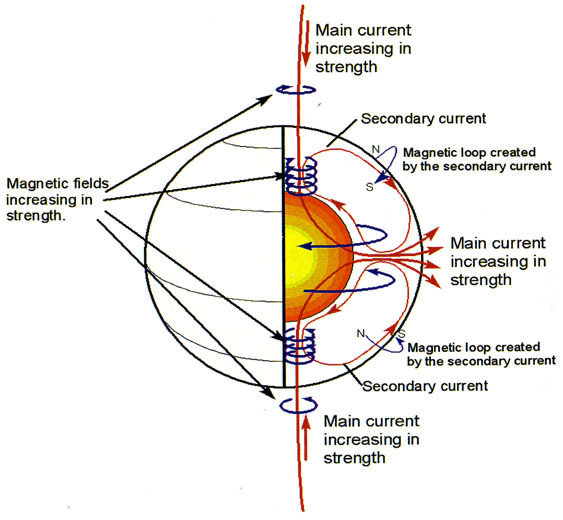 Dr. D. Scott provided an electrical engineer’s perspective of the Sun’s magnetic field changes due to a changing input current.The simplicity is obvious. The reversal of the Sun’s dipole field and sunspot order during the solar cycle is a natural result of a transformer action as the main current increases and decreases but never reverses. The solar cycle is to be expected since plasma circuits are notorious for their oscillatory tendency. Hidden in plain sight is the well-known relationship between mass and energy, E = mc2, which tells us that mass is an electromagnetic variable. The higher the electrical stress on a body, the greater is the internal charge polarization and hence the greater is the body’s mass. The mass of a star cannot tell us how much matter is in the star. So estimates of the composition of celestial objects based on their measured mass and the volume of their photosphere are invalid. The mass of a star gives no information about the size or composition of its heavy element core or the internal structure of the star. The fact that the relation breaks down for white dwarfs and red stars is due to the fact that their luminosity is generated by extensive coronal and chromospheric glow mode discharges respectively. The stellar mass–luminosity relation is important in the conventional model because, in an attempt to match observations, a tottering tower of theory has been built. The model is impossible to verify and requires an ad hoc system of complex thermonuclear ‘cookery’ and the effects of the resulting ‘burnt ashes’ on the internal structure of stars. If we discard standard theory, we require an electrical explanation. The mass-luminosity relation for bright stars indicates that both variables are related to the degree of electrical stress suffered by a main-sequence star. Variations in the M-L relation for different mass ranges may be attributed to differences in the manner of a plasma discharge to cope with the current density at the photosphere. For example, the luminosity depends on the brightness and size of the photosphere, which expands and changes color from yellow to blue-white to meet increasing electrical stress.